Smartphones are still the hottest technology trend and the market is evolving rapidly. With the ongoing achievements in this era, users are often confused when they plan to buy a new smartphone, as there are so many choices out there. 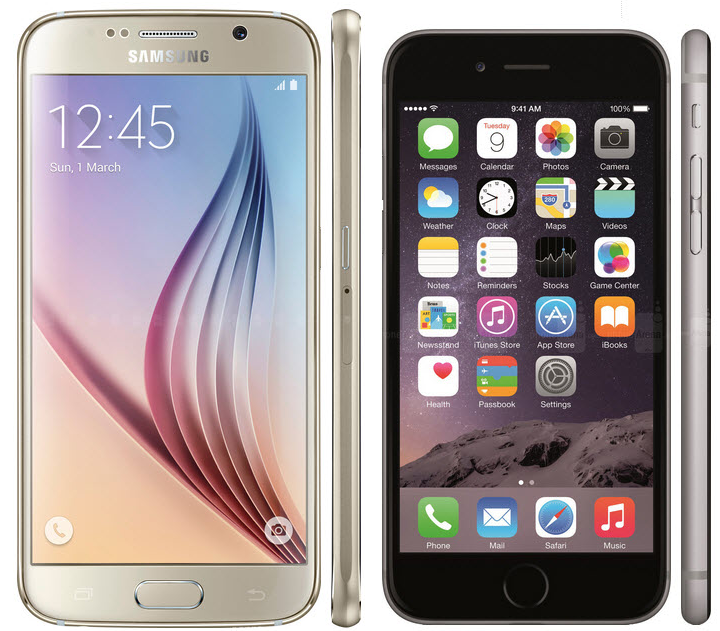 Let’s talk about two of the most famous flagship phones – Apple iPhone 6 and Samsung Galaxy S6 – and examine their specifications to distill some of the differences. Although these phones come from two different companies, there are many similarities between them. One of the most important features of each smartphone is the quality of the screen. The iPhone 6 packs a 4.7 inch LED with backlit IPS whereas the Samsung Galaxy S6 has a 5.1 inch Super AMOLED screen that explains its bigger size. In fact, when comparing the space usage efficiency of these phones, Samsung has packed a bigger screen than Apple. In terms of pixel quality of these screens, iPhone 6 has a 1334 x 740 pixels density that provides about 326 pixels per inch while Galaxy S6 has a 2560 x 1440 pixels density that provides about 577 pixels per inch, which is Quad HD quality. 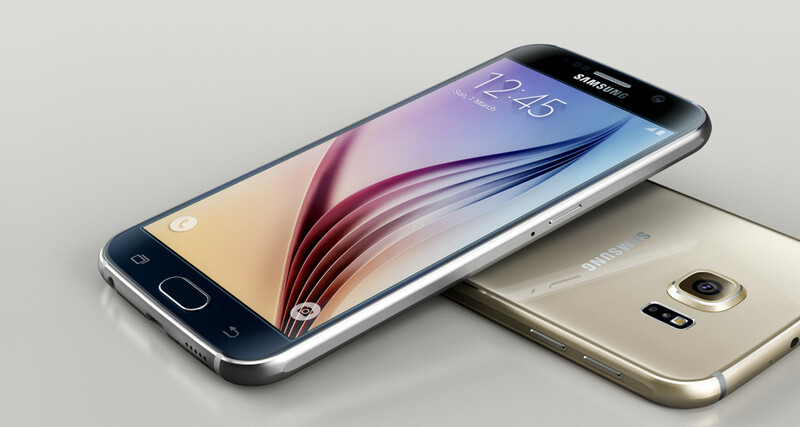 Sizewise, the Samsung Galaxy S6 is slightly larger than iPhone 6 (143.4 x 70.5 x 6.8 mm vs. 138.1 x 67 x 6.9 mm). People who have used both devices stated that the Samsung Galaxy S6 looks a bit taller when comparing to the iPhone 6. In terms of the weight of these devices, there is not much difference between Galaxy S6 with 138 g and iPhone 6 with 129 g.
Last but not least, the iPhone 6 packs Apple A8 64 bit Dual core 1.4 GHz processor and also uses a dedicated motion processor. On the other hand, Galaxy S6 uses Samsung Exynos 7420 chip, which is also 64 bit and has 8 cores (4 1.5 GHz and 4 2.1 GHz). Side by side comparisons of these devices revealed that the iPhone 6 performs better when using 1 core, but the Galaxy S6 outperforms when using multiple cores. It’s possible that the Galaxy S6’s amount of RAM – 3GB vs iPhone 6’s 1GB – helps it out here. Smartphones are often treated as a fashion accessory so the quality of the build is very important. Apple’s iPhone has been always famous for its build quality and the iPhone 6 is a rightful heir. 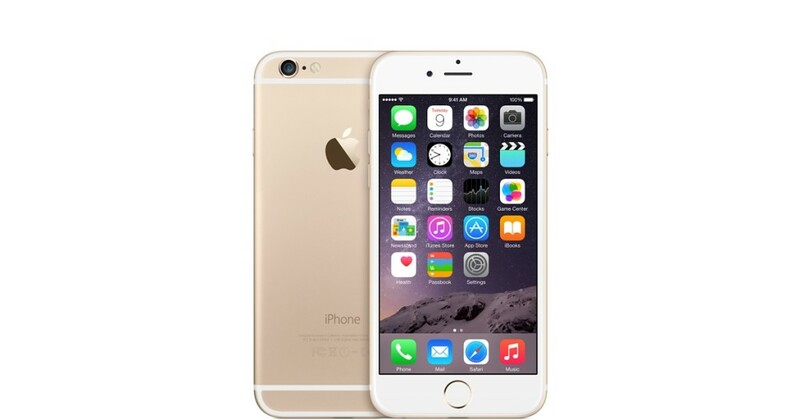 The iPhone 6 has an Aluminum Unibody that is quite popular with users, and a strong Gorilla Glass 4 screen. Samsung has recently changed its approach in design. One of the most criticized aspects of Samsung devices was that they were built using cheaper plastic materials. Fortunately, this trend has changed and Samsung has improved the quality of materials, and the Galaxy S6 is a testament to this change. It has an aluminum frame and Gorilla Glass 4 panels on the front and back, giving it similar quality to the iPhone 6. 5 years ago, people wouldn’t believe you if they were told that the camera on their phone was going to be their main camera for day-to-day usage. Today, that’s true for millions of smartphone users. In fact, the camera is one feature that can completely change people’s mind when buying a new smartphone. 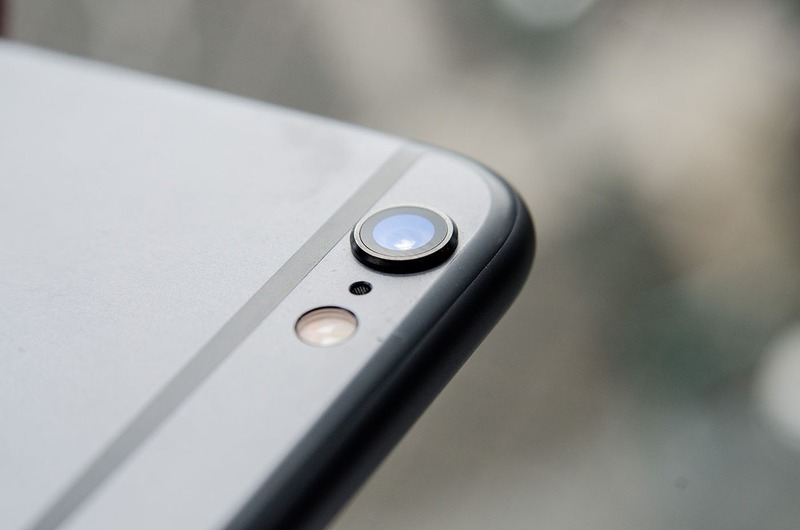 The iPhone 6 has an 8 MP camera with TrueTone flash and Phase Detection Auto Focus. The iPhone camera has been one of the best cameras in the smartphones and always satisfies its fans. On the other hand, the Galaxy S6 has a 16 MP camera on the back that offers Optical Image Stabilization feature and Fast Tracking Auto Focus. Also Samsung has claimed that the camera can be launched in less than a second when double clicking on the home button. This is important in terms of replacing a point-and-shoot camera. In terms of the video quality, the iPhone 6 can capture 1080P at a rate of 60 frames per second which produces extremely smooth and sharp video. 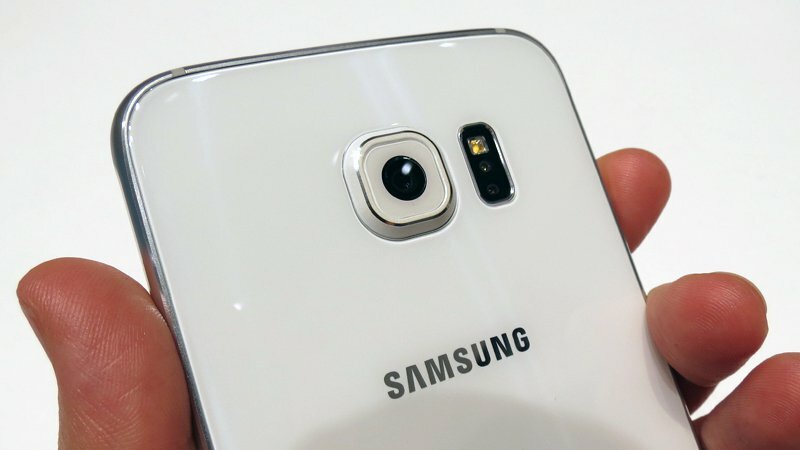 The Galaxy S6 is capable of capturing 4K video, – 2160P, the next generation of display resolution – at a rate of 30 frames per second and 720P at a rate of 120 frames per second. Again, amazing speed and quality for a camera in a smartphone. The front facing camera in the Galaxy S6 has a 5 MP resolution and offers Real-Time HDR and Special Low Light Feature that tries to improve the quality of the pictures taken in a low light condition, which has always been a drawback of smartphone cameras. The iPhone 6 provides a 1.2 MP front-facing camera that is really nice and consistent through different conditions, including low light. One other interesting difference is that the iPhone 6 has its lens placed in the top left corner on the back of the device, whereas the Galaxy S6 has their lens located in the top middle of the back of the device. I tried talk about some of the most important features of these devices and left the rest of the feature for the second part of this article. In the next part I will talk about the battery, payment feature, finger print authorization, heart rate sensor, remote control and more!